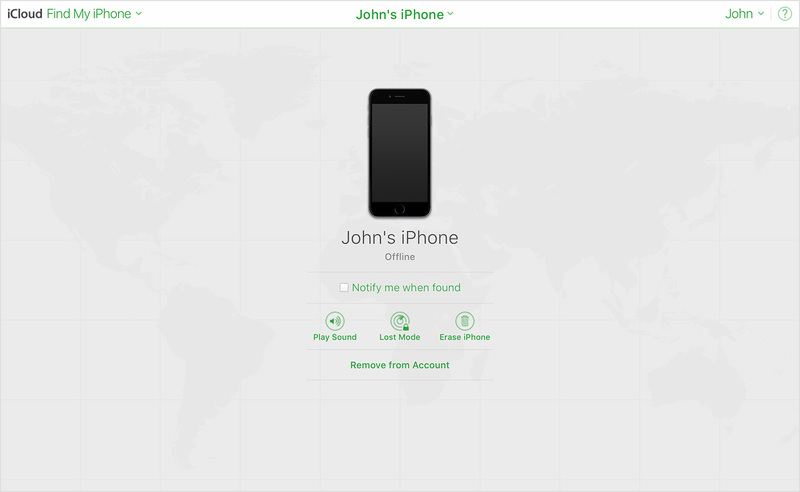 If your iOS device or Mac is lost or stolen, you can erase it if you set up ‘Find My iPhone’ on the device before it was lost. If you have Family Sharing set up, you can erase your family members’ devices, too. Important: Before you erase your device, try to locate it or play a sound on it. 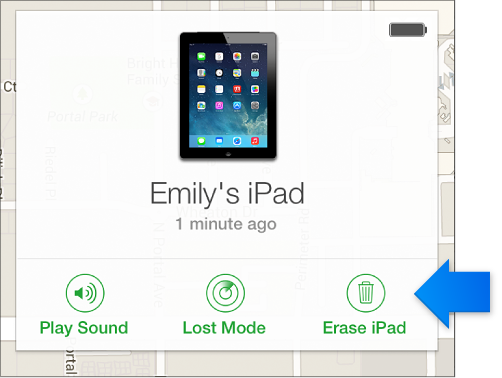 After you erase it, you can’t use Find My iPhone to do either. You may still be able to locate your Mac if it’s near a previously used Wi-Fi network. If you only see Pages, Numbers, Keynote, and Settings on iCloud.com, your account just has access to iCloud web-only features. To gain access to other iCloud features, set up iCloud on your iOS device or Mac. In the device’s Info window, click Erase [device]. An iOS device: Enter your Apple ID password or your family member’s Apple ID password. If the device you’re erasing has iOS 7 or later, enter a phone number and message. The number and message are displayed on the screen after the device is erased. A Mac: Enter your Apple ID password or your family member’s Apple ID password. Enter a passcode to lock the Mac (you need to use the passcode to unlock it), then enter a message. The message is displayed on the screen after the Mac is erased. If your device is offline, the remote erase begins the next time it’s online. If you erase then find your iOS device, you can restore the information on the device using iCloud Backup (if backup was turned on before you erased it) or iTunes. For more information, see iCloud storage and backup overview, or the “Safety, handling, and support” section of the iOS user guide for iPhone, iPad, or iPod touch. For a device that doesn’t use the latest iOS version, get the user guide for iPhone, iPad, or iPod touch from the Apple Support manuals website. Note: If you erase then find your Mac, you can restore the information on the Mac using a Time Machine backup, if you have one. 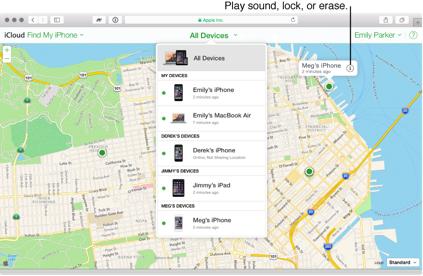 Go to ‘Find my iPhone’ and select device you want to erase.